BuaSaree Resort - Hang Dong, Chiang Mai, Thailand - Great discounted rates! 8.1 out of 10 based on 119 verified user reviews via Agoda. Set in a prime location of Chiang Mai, BuaSaree Resort puts everything the city has to offer just outside your doorstep. The hotel offers guests a range of services and amenities designed to provide comfort and convenience. Free Wi-Fi in all rooms, car park, room service, airport transfer, restaurant are there for guest's enjoyment. Guestrooms are fitted with all the amenities you need for a good night's sleep. In some of the rooms, guests can find internet access Â?Ã?Ã? wireless, internet access Â?Ã?Ã? wireless (complimentary), air conditioning, desk, balcony terrace. 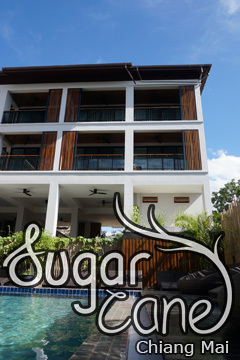 Entertain the hotel's recreational facilities, including outdoor pool, massage, garden. Friendly staff, great facilities and close proximity to all that Chiang Mai has to offer are three great reasons you should stay at BuaSaree Resort. BuaSaree Resort - Chiang Mai classifies itself as a 3 star hotel.